The Royal Canadian Air Force and the Department of National Defence have created new working groups to prepare for the arrival of the Airbus C295W fixed-wing search and rescue planes (FWSAR). Procurement Minister Judy Foote and Defence Minister Harjit Sajjan announced December 8 that the government had selected the Airbus C295W aircraft for its new FWSAR aircraft. The RCAF will receive 16 C295Ws. The contract will also include in-service support, provided through a joint venture between Airbus Defence and Space and PAL Aerospace. DND spokesman Evan Koronewski told Esprit de Corps that the working groups include those to look at operational requirements and infrastructure. Based on their recommendations, a plan will be produced and implemented to ensure the RCAF is prepared for the delivery of the C295 fleet, he added. “The first aircraft will be delivered in 2019 in Comox, B.C., three years after contract award and is expected to meet its initial operational capability by 2021,” Koronewski explained. The existing CC-115 Buffalo and CC-130H Hercules will continue operating until the new fixed-wing platform has reached its full operational capability, at the four main operating bases of Comox, Winnipeg (Manitoba), Trenton (Ontario), and Greenwood (Nova Scotia), he added. Nicolas Boucher, a spokesman for Public Services and Procurement Canada, told Esprit de Corps that the final aircraft of the 16-strong fleet is expected to be delivered in 2022. He said training of aircrew will have started by the arrival of the first plane in 2019. The 2022 arrival of the final aircraft will also mark the beginning of the long-term maintenance and support services for the aircraft, Boucher said. Also included are tools and test equipment, spare parts and access to the necessary technical data for military personnel, the government noted. The contract for the initial period of 11 years is valued at $2.4-billion and includes delivery, set-up of support systems (training centre, initial spare parts, tools, support and test equipment, electronic information environment, etc.) and the first five years of maintenance and support of the aircraft, according to Public Services and Procurement Canada. It also includes the opportunity for Airbus to earn contract extensions for the operation and maintenance of the aircraft in increments of one to three years, for up to a possible additional 15 years. This could potentially extend the maintenance and support services until 2043, for a total value of $4.7-billion, according to the Public Services and Procurement Canada. The Canadian government said it expects Airbus Defence and Space will continue to develop strategic relationships with Canada’s aerospace and defence firms and will undertake business activities in Canada equal to the contract value. Such business activities include manufacturing major systems on the FWSAR aircraft, such as engines, radars and sensors, as well as researching and developing new product lines in Canada. This will open up opportunities for these firms to enter new markets in partnership with PAL Aerospace, the federal government pointed out. The C295W features substantial Canadian content. Simon Jacques, head of Airbus Defence and Space in Canada, said about 20 per cent of the aircraft is already made up of Canadian-made systems. Every C295 is powered by two Pratt & Whitney Canada PW127G turboprop engines driving a pair of Hamilton Standard 586-F six-bladed propellers. In addition, pilots and technicians will be trained at a new facility developed by CAE in Comox, B.C. The electro-optical systems for the aircraft will be provided by L-3 WESCAM of Burlington, Ontario. AirPro, a joint venture between Airbus Defence and Space and PAL Aerospace of St John’s, Newfoundland, will provide in-service support for the life of the program. The federal government noted additional industry partners that will contribute to maintain the FWSAR capability include Heroux-Devtek to repair landing gear; Hope Aero to repair propellers; Sonovision for technical publications; CLS Lexi-Tech for translation of publications; and Precision Aero to repair component parts on the aircraft. The Canadian Surface Combatant (CSC) will be the backbone of the Royal Canadian Navy’s future fleet, yet the program — one of the largest defence procurements Canada has undertaken in modern times — is sailing into stormy waters. The Liberal government announced October 27, 2016 that Irving Shipbuilding Inc. of Halifax had issued a request for proposals to companies on the design of the new warships. Firms are required to provide those bids, which must not only include the design but details of teaming arrangements with Canadian firms. But allowing only six months to compile bids for one of the largest procurements in Canadian history doesn’t make sense, say representatives of some of the companies. The extent of the technical data and other information the Canadian government requires is overwhelming, they add. Four companies requested that the bidding period be extended and on February 16 the Liberal government agreed. Instead of submitting bids on April 27, the proposals will now be due on June 22. But there are other issues looming as well. Some firms are questioning whether it will be worthwhile to bid on the project, estimated to be valued at more than $26-billion. Preparing a bid for the Canadian Surface Combatant project will cost companies between $10-million and $20-million, industry representatives say. If they don’t see that there is a chance of winning the contract because of various issues, then firms might decide not to bid, further narrowing the choices for the Liberals on a new fleet for the Royal Canadian Navy. In its letter to Foote, Fincantieri pointed out that the current structure of the procurement limits the role of the warship designers to simply providing engineering and design services to Irving, which will then build the vessels. In return for that small role, the companies are being asked to provide valuable intellectual property to their designs, access to their established supply chains, and transfer technology to Irving and Canada. The project as it is structured now leaves little incentive for warship designers and builders such as Fincantieri, which has designed and constructed ships for the navies of Italy, India, Iraq, Malaysia, Malta and the United Arab Emirates. The company instead proposed to Foote that a fixed-price competition be held, with the wining shipyard building the first three warships, complete with Canadian systems, and deliver those to Irving. The ships would then be run through evaluations and after any technical issues were worked out, Irving would begin to build the remaining 12 vessels. The minister responded by suggesting Fincantieri approach Irving with their concerns. But that response further worried the Italian shipbuilder as they had believed the Canadian government and its ministers were ultimately responsible for the program and the spending of billions of tax dollars. Foote’s comments to journalists on February 7 will also not likely go down well with the Italian firm. She said she wasn’t concerned about Fincantieri’s warning that the current process was putting Canada at risk of unnecessary costs. Irving spokesman Sean Lewis said the contract for CSC design would be awarded to an existing warship design that best fits the requirements of the Royal Canadian Navy. “I can assure you that the procurement process is being conducted in a way that ensures that all bidders are treated equally, with no unfair advantage given to any individual bidder, and under observation of an independent fairness monitor,” he added. The other issue that has emerged on CSC are questions about whether there is a bias on the part of Canada for a specific design. There is a strong belief in some industry circles that the federal government is favouring the design from the British firm BAE, which is offering the RCN the Type 26 warship. Much of that belief is fuelled by the unusual change in the CSC procurement process in mid-2016. In the summer of 2016 Foote said only proven warship designs would be considered, a strategy that she insisted would cut down on risk and speed up construction. But just months later the Liberal government retreated on that and instead indicated it would accept a Type 26 bid, even though that type of vessel has not been built yet. Construction of the first Type 26 ship for Britain will start sometime this year. “You want to make sure that what you get on offer reflects not only what’s tried and tested in the market but also what’s coming on the market,” Lisa Campbell, assistant deputy minister of acquisitions at Public Services and Procurement Canada, explained to journalists. In an earlier statement, BAE official Anne Healey said the company looks forward to bidding in an open and fair competition. Other industry representatives point to the close ties between Irving and BAE as a reason for concern on the CSC. The two firms had joined forces to bid on the long-term maintenance contract for the Royal Canadian Navy’s Arctic patrol ships and the Joint Support Ships. They lost that contract to Thales. But rival companies are still worried about whether BAE has an inside track on CSC. Meanwhile, Irving has raised its own issues about CSC. Irving president Kevin McCoy said the firm is concerned about the gap between when it finishes work on the new Arctic Offshore Patrol Vessels (AOPS) and the start of the CSC building. The work Irving is doing on AOPS will provide its employees with the experience and expertise required to construct the surface combatants starting in the early 2020s. But McCoy told Esprit de Corps that he is worried that if there is a gap where there is a slowdown or lack of work then those skilled employees will leave for other jobs. That, in turn, could impact the CSC program. McCoy had an even blunter warning in early February when he told the House of Commons defence committee that the gap or any delays on the surface combatant program could mean “significant layoffs” for employees. A clinical study, which saw psychotherapy used in conjunction with the drug methylenedioxymethamphetamine (MDMA) to treat psychological and emotional trauma, wrapped up in Vancouver last November, and the results appear to be hopeful. The study was led by several Vancouver-based psychotherapists who administered MDMA to six patients suffering from post-traumatic stress disorder (PTSD) to assist with psychotherapy sessions. Several of the patients are military veterans suffering from PTSD. According to the Canadian Mental Health Association, PTSD “often involves exposure to trauma from single events that involve death or the threat of death or serious injury.” PTSD, through certain triggers such as sound or smell, often causes those who have witnessed trauma to relive the event. Those who suffer from PTSD often suffer from flashbacks, nightmares, have trouble sleeping and may become anxious, depressed and/or detached from their surroundings. MDMA, commonly referred to as ecstasy (E), is labelled a psychoactive drug whose effects include increased sensations of empathy, euphoria and trust. The therapists who administered the drug to the clinical trial patients hoped the drug would allow the patients to open up more about their thoughts and feelings. Ultimately, the therapist ends up having a conversation with the person’s unconscious mind, which can be quite different from a regular conversation. According to the therapists who administered the study, the drug increases the release of chemicals like serotonin, dopamine and hormones that, in theory, can relax patients, thereby allowing them to speak more freely about their thoughts and experiences. Metro News reported that the patients were given 125mg of MDMA with eight hours of therapy. The patients also slept at the clinic and received additional counselling the following day; months later, they were given half the dose and more therapy. The study was funded by the Multidisciplinary Association for Psychedelic Studies (MAPS) and a good portion of the funding for the study came from online donations from the MAPS website. It took Health Canada almost six years and $200,000 to approve the trial. Haden told Esprit de Corps, “To be honest with you, I was surprised of the level of welcome we got from the Canadian military. I sort of braced myself going into the military to talk about it … I really thought I would be challenged.” Haden added that while presenting to the Canadian military there seemed to be genuine interest shown towards the study. In April of 2016, a psychiatrist from the Canadian Armed Forces told Global News that the military was not ruling out these sorts of alternative treatment, but the studies would need to published and proven to be safe. MAPS is careful to suggest that laboratory-produced MDMA is not the same as street ecstasy, or “molly” as it is also known, because the street drugs are often laced with other chemicals and/or dangerous adulterants. “Pure MDMA has been proven sufficiently safe for human consumption when taken a limited number of times in moderate doses,” states the MAPS website. There will be another phase of research this spring with the hope getting the trial authorized as a legal prescription. Metro News reported that after the trial, 56 per cent of subjects no longer met criteria for PTSD. Followed up 12 months later, these same individuals now accounted for 66 per cent who no longer met the definition for PTSD. 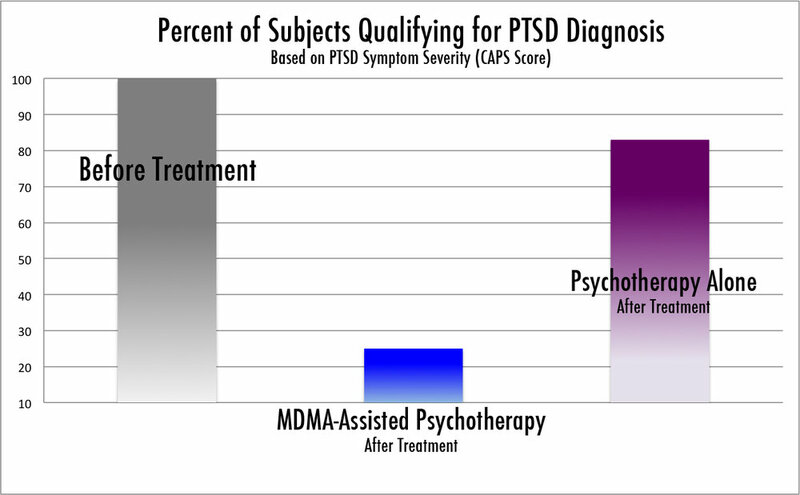 Two other recent trial studies, also involving the treatment of PTSD with MDMA in Charleston, South Carolina, also saw a 56 per cent decrease in the severity of PTSD symptoms. Since 2014, at least 54 Canadian veterans have committed suicide; however, the number could be higher due to lack of public reporting. Since the beginning of 2017, at least two Canadian military veterans have killed themselves, and both were thought to be suffering from PTSD. Next month we’ll look at the study in more detail, and discuss alternative forms of treatment for veterans suffering from post-traumatic stress disorder. As modern combat forces rely increasingly on space-based technology, the Canadian Armed Forces is committing more resources to satellites. BGen Blaise Frawley discusses some of these programs. In the last decade, space has begun to play a greater role for the Canadian Armed Forces. Space-based systems have already had a significant place in the lives of the Canadian public, which relies on such assets for everything from banking transactions to daily reports about the weather. In the military realm, Canadian soldiers now regularly use space-based assets to operate effectively on the battlefield. Such systems do everything from allowing long-range communications to guiding weapons to their targets. The Department of National Defence employs space systems to monitor the maritime approaches of the nation and conduct surveillance on locations around the world. And with potentially billions of dollars of new projects planned for the future, space operations are on the way to becoming even more central to the effectiveness of the Canadian military. “For us in the Canadian Armed Forces, space is critical,” Brigadier-General Blaise Frawley, Director General of Space, explained in an interview with Esprit de Corps. “The effects that we provide now (because of space assets) support all of the joint players within the Canadian Armed Forces, both domestically and deployed overseas. Frawley, whose appointment was announced on June 9, 2016, noted that the Royal Canadian Air Force has now taken responsibility for the military’s space programs. It is a natural fit, he added. The service had a lot of experience with space, starting in the 1960s. “The way we look at this is that space is now delivered by the RCAF but for the joint warrior — so the Army, Navy, Air Force and SOF (special operations forces) warriors,” he said. Collaboration with allies, industry and other government departments is key to moving forward, Frawley added. He wants to stay the course for now and deliver the same professional capabilities that have been offered over the years. After that vision is developed, the RCAF can set about planning how to achieve that end-goal. The Wideband Global SATCOM Satellite system is considered “the backbone of the U.S. military’s global satellite communications,” according to the U.S. Air Force. General Dynamics was awarded a $59-million contract to build three anchor stations in Canada, like the one pictured. The anchor stations will allow communication with the WGS constellation and link it to existing Canadian Armed Forces communications infrastructure. Canada announced in late 2011 that it was joining the U.S. Wideband Global Satellite (WGS) program, contributing $337-million for construction of a ninth satellite as well as operational support costs. Canada is investing as part of a consortium that includes four other countries — Denmark, Luxembourg, the Netherlands and New Zealand — all of which will gain access to the system in proportion to their individual contributions. In exchange for its financial contribution, the Canadian Armed Forces will have access to the Wideband Global Satellite system until 2031. “Wideband is quite critical to support our joint warriors, both domestically and deployed,” Frawley said. The Canadian military has already been using the WGS network through interim satellite ground terminals or through allied systems. That use began in May 2012. In addition, the CAF is spending another $59-million to construct three anchor stations in Canada for the WGS system. In 2014, General Dynamics Canada Ltd. of Ottawa was awarded the contract to build those anchor stations, which will allow communication with the Wideband Global Satellite constellation and link that to the existing CAF communications infrastructure. The Canadian military will also buy portable satellite communications terminals to allow its commanders on overseas missions to make use of the U.S. Air Force’s WGS network. It wants to buy three types of strategic deployable terminals. One type would be capable of being operated by an individual and would be small enough to be able to be transported as carry-on luggage on an aircraft. A second type would be the size of check-in luggage, and have an increased ability to transmit information to the digital battlefield. The third type, called the Heavy Strategic Deployable Terminal, would be able to provide a deployable very high data throughput capability and would be operated by a small team at headquarters level. The terminals will allow the Canadian Armed Forces to deliver voice, image and data between deployed headquarters and commanders back in Canada. Bids were submitted December 8. The Canadian military has set aside up to $20-million for the project to acquire the deployable terminals. The strategic deployable terminals to be purchased would provide seamless interoperability via the Wideband Global Satellites system to the anchor stations as well as allied WGS-certified stations. But why take part in WGS? The Canadian military was spending approximately $25-million per year on satellite communications capacity acquired from commercial operators. The cost to maintain that status quo was expected to increase significantly during the next 20 years, according to military officers. The Canadian government has said it decided to take part in WGS because its military needed assured access to satellite communications instead of relying on commercial capacity. In addition, participation in WGS is cheaper than using commercial services, government officials added. In 2015, Canada decided to proceed with a project to provide search and rescue (SAR) repeaters for the U.S. Air Force’s next generation of global positioning system (GPS) satellites. The plan would see the installation of the search-and-rescue repeaters on the USAF’s GPS 3 satellites. The MEOSAR satellite project, which will also include the construction of three ground stations, is expected to cost Canada between $100-million and $249-million, according to the defence acquisition strategy document. Once in orbit 22,000 kilometres above the Earth, a MEOSAR repeater will be able to detect signals from emergency beacons and retransmit the signals to receiver stations on the ground. The emergency messages can then be sent to appropriate authorities so that people in danger can be quickly located and rescued. MEOSAR will provide a more capable system to COSPAS–SARSAT (Cosmicheskaya Sistyema Poiska Avariynich Sudov – Search and Rescue Satellite Aided Tracking), according to Canadian military officers. COSPAS–SARSAT is an international satellite-based search and rescue distress alert detection system established by Canada, France, the former Soviet Union, and the U.S. in 1979. It is credited with saving more than 33,000 lives since its inception. With the 2013 launch of the Sapphire satellite, the Canadian military received, for the first time, its own spacecraft. Sapphire is Canada’s first-ever dedicated military operational satellite. The Sapphire satellite, with its electro-optical sensor, tracks space objects in high Earth orbit as part of Canada’s contribution to space situational awareness. Data from Sapphire also contributes to the U.S. Space Surveillance Network, Frawley noted. Responsible for protecting North America from aerospace threats, NORAD, which is based in Colorado Springs, Colorado, receives its information from that network. The sensor also provides information to the Department of National Defence and the Canadian Armed Forces about the location of foreign satellites as well as on the whereabouts of orbiting debris, which could pose a hazard to satellites and other spacecraft. In addition, it also allows Canada to gather data about objects, such as space junk, re-entering the Earth’s atmosphere. Canada’s military has contributed to the surveillance of space mission previously using ground-based telescopes. But space-based sensors such as Sapphire have a major advantage as ground-based systems can only be used at night. In addition, their performance can be limited by weather or excessive clouds. Sapphire has a five-year mission life, according to the satellite’s prime contractor MDA Corp., of Richmond, British Columbia. MDA was award the $66-million contract to build Sapphire in October 2007. The Sapphire contractor team also included Terma A/S of Herlev, Denmark; COM DEV International of Cambridge, Ont. ; and Surrey Satellite Technology Ltd. of Surrey, England. MDA also operates the satellite from its Richmond facilities for the Department of National Defence. The Canadian military is looking now for a follow-on program for Sapphire. Called Surveillance of Space 2, the solution would allow Canada to continue providing information to the U.S. space surveillance network beyond 2021. “Our thoughts right now are space-based, but our job is to look at all the options,” Frawley said. Options could include a single satellite combined with a ground optical sensor or a constellation of electro-optical satellites. The system would track man-made objects in Earth’s orbits having altitudes of 6,000 kilometres or greater. The Canadian military wants the new system to be able to detect dimmer objects — the focus will be on operational satellites, just a bit smaller than targeted currently. The number of observations the satellite could do per day to feed the Space Surveillance Network would also grow. The preliminary cost estimate for the project ranges from $100-million to $249-million in Canadian dollars. The wide price range reflects the scope of options that might be considered. Previously, there was talk about a 2021 launch date. But that is highly unlikely. Sources say a contract could be signed in 2021 with the system going into orbit by 2025 or 2026. Surveillance of Space 2 illustrates one of the big challenges with procurement of space assets, Frawley explained. Unlike an aircraft, ship or tank, the lifespan of a spacecraft is relatively short. “When you have a satellite that lasts between five and 10 years, it changes our mindset when it comes to how we procure these capabilities,” he said. At one point the Canadian government was looking at putting into orbit a constellation of satellites to provide communications for the Arctic as well as to gather weather data from the region. The launch date was tentatively scheduled for 2016 but the project, called the Polar Communications and Weather (PCW) Mission, has been scuttled. Frawley said the military is hoping a draft solicitation for that project will be put out sometime in 2017. The RADARSAT Constellation Mission, or RCM, will be a follow-on program to the existing and highly successful RADARSAT-2 spacecraft. RCM, however, will provide more capability. Instead of a single satellite, RCM will use three radar-imaging satellites to conduct maritime and Arctic surveillance. In January 2013, MDA Corp. was awarded a $706-million contract by the Canadian government that would see the Richmond company build, launch and provide initial operations for the RADARSAT Constellation Mission. The first spacecraft is expected to be launched in the fall of 2018, Frawley noted. He says the information to be gathered by the spacecraft will be critical for Canada’s warfighters. The Canadian military expects to use about 80 per cent of the data that RCM provides while the rest will go to other government departments, Frawley added. On December 1, 2016 the Canadian government finally announced the awarding of a $2.4-billion contract to acquire 16 Airbus C295W aircraft. The new C295W will replace the Royal Canadian Air Force’s remaining six 50-year-old CC-115 Buffalo aircraft along with a dozen of the older CC-130E/H Hercules planes which have been carrying out Canada’s search and rescue (SAR) missions. The contract value includes the construction, delivery and transition phase which is to be complete by 2023, as well as an additional five years worth of in-service support (ISS). For Airbus Defence and Space, and all the other competitors for this contract, the procurement process was a gruelling marathon, which was originally intended to be a short, sole-source sprint. Planning for replacing the RCAF’s FWSAR fleet actually began back in 2002. At that time, RCAF officials were bemoaning the advanced age of the Buffalo planes, and the fact that older CC-130 Hercules — some aircraft had entered service in 1960, others in 1996 — had to be pressed into service to sustain SAR operations. Their complaints did not fall on deaf ears. Then Prime Minister Jean Chrétien hastily declared the FWSAR replacement project to be a top priority in 2003. True to Chrétien’s word, the March 2004 federal budget included $1.3-billion in funding for the Air Force to purchase 15 FWSAR aircraft, with an original first delivery date of 2006. The RCAF had their eyes set firmly on the Alenia C-27J Spartan. This twin-engine military cargo plane was well suited to a SAR role, and with its long range and large payload, the Spartan could easily operate from southern Canadian SAR airfields and still service the Arctic. A bonus was the fact that the Spartan was actually designed to be compatible with Lockheed Martin’s C-130 Hercules, so RCAF officials saw the C-27J giving them additional tactical transport capabilities. Then along came the European firm EADS, which offered up its C-295 aircraft to the Canadian government. In 2005, EADS Canada first began challenging the original Statement of Operational Requirements (SOR) for the FWSAR replacements, as company officials felt the SOR had been purposefully drafted to make only Alenia’s Spartan a qualified contender. The EADS Canada team admitted that their aircraft was slower and did not have the range to patrol the Arctic from the current SAR bases CFB Trenton, CFB Greenwood and CFB Comox. However, the EADS team also argued that alternate bases, located further north, should be considered. For five long years EADS Canada pleaded its case and finally, in 2010, the Harper Conservative government ordered the National Research Council (NRC) to undertake a thorough review of DND’s original FWSAR Statement of Operational Requirements. First off, the NRC report recommended that DND seek an Alternate Service Delivery (ASD) option; in other words, to engage a private contractor to fulfill Canada’s SAR role. The NRC also supported the idea that alternate bases be considered. There was no way in hell that the RCAF was going to let their SAR role go to a private company. As Peter MacKay was then both the minister of National Defence and the director of the National Search and Rescue Secretariat, the ASD option was quickly squashed. However, with the NRC report came renewed interest from other aircraft manufacturers. What had been a two-man race between Alenia and EADS now became a field of six. In addition to the C-27J Spartan and the EADS Canada C-295, Viking Air was offering up a fully modernized version of the Buffalo; Bell-Boeing tossed in its vertical take-off and landing (VTOL) hybrid helicopter-plane, the V-22 Osprey; Lockheed Martin proposed an additional purchase of its latest C-130J model Hercules; and the Brazilian company Embraer was shopping its embryonic new KC-390. In December 2011, DND wiped the dust off the desks and re-opened the FWSAR Project Management Office. The March 2012 federal budget once again approved the necessary funding. However, it was still a full three years later before the request for proposal (RFP) was formally posted. When the bidding closed on January 11, 2016, only three contenders chose to actually submit offers. Of these three, long-shot Embraer was declared non-compliant by March. This left just Leonardo (formerly Alenia) with its C-27J Spartan and Airbus Defence and Space (formerly EADS) with its C295W, in the hunt. The evaluation of the bids was completed by the end of June, but as with all major military procurement announcements, politics plays a role. Good-news stories regarding defence procurements are few and far between these days, and thus the FWSAR contract awarding was something of a PR silver bullet for the Liberal government. A fair and transparent competition had been held to replace an aging fleet of search and rescue planes — who could take exception to equipping the RCAF to save lives? Thus, it was while the Trudeau government was in the midst of a controversy surrounding their recent announcement to sole-source a purchase for 18 Super Hornet fighter jets as an interim measure to fully replacing the RCAF’s legacy CF-18 fleet that they finally announced Airbus’s C295W as the FWSAR winner. Nearly 15 years have passed since this ‘urgent requirement’ was first flagged for replacement. Names changed, bidders came and went and, in the end, the C295W finally eclipsed the C-27J Spartan. Persistence paid off in this instance, but it is also true that Airbus compiled a strong Canadian team of partners, which includes Pratt & Whitney Canada and its PW127G engine, Provincial Aerospace for the in-service support, and CAE with the simulation and training package.